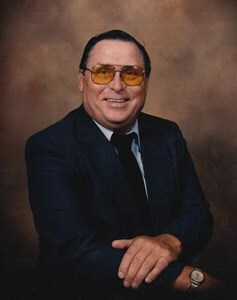 Newcomer Family Obituaries - Charles W. 'Chuck' Kitzmiller Jr. 1943 - 2019 - Newcomer Cremations, Funerals & Receptions. Charles W. "Chuck" Kitzmiller Jr.
Charles "Chuck" W. Kitzmiller Jr., 75, of Garrettsville and most recently, Wadsworth, passed peacefully surrounded by his family on February 10, 2019. Chuck was born June 14, 1943 in Fairview, West Virginia to the late Kathryn and Charles W. Kitzmiller Sr. Chuck served in the US Army in the early '60's. He was a lifetime member of the Eagles Club #2705 and #555. He loved Cleveland sports, playing pool, fishing, gambling, and going to the A&W root beer stand, but above all, he cherished spending time with his family and dogs. Friends and family are welcome to visit on Wednesday February 13, 2019 from 5pm until 6pm at Newcomer 131 N. Canton Rd., Akron. A memorial service will take place at 6pm officiated by Pastor Norma Bates. Add your memories to the guest book of Charles Kitzmiller Jr..
RIP Uncle Chuck you will be missed! So very sorry for your loss... I was Chucks hairdresser for many yrs. Sad to see him go..